A picture from the final game of the tournament organized by Zaccaria for the year 1981-82, held at the Enada coin-op fair of that year. 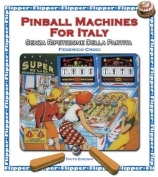 After some months of regional selections, the selected pinball players came to the Enada, all expenses paid by Zaccaria. 05/2003 – Spot the difference!